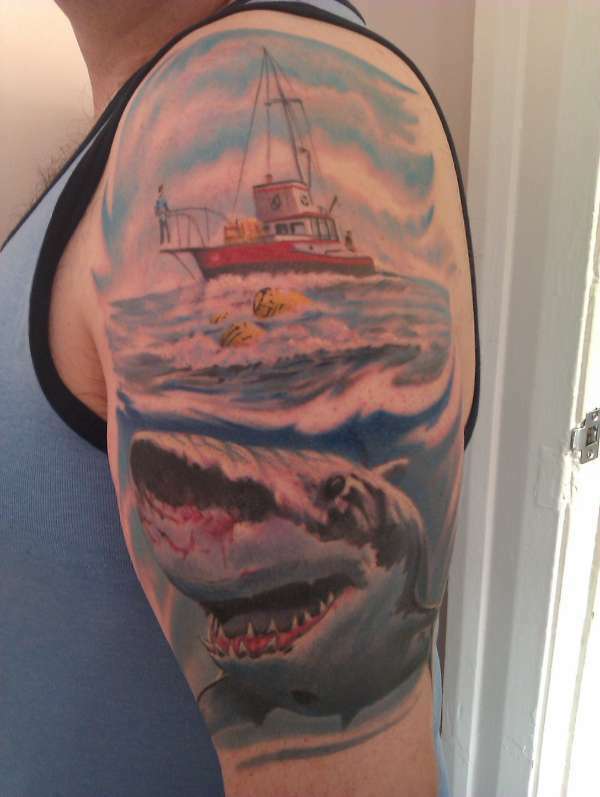 I love the movie Jaws, was the first movie I went to see as a child with my mum and dad, holds a lot of great memories for me and carrys on my fascination with sharks and one particular shark JAWS, hope you like it. Wonderful work. Love that movie and I love this tattoo.